A Lincoln scholar and performer brings the warmth, wisdom, and humor of our sixteenth president alive in a collection of inspiring quotations on achievement, responsibility, simplicity, and other timeless values that form the foundation of a meaningful life. The Words Lincoln Lived By is a stirring, inspirational treasury of quotations from our greatest and most admired president. Composed of Lincoln's profound observations--one for every week of the year, each followed by a short commentary that provides historical context--the book offers rich material for interpretation, reflection, and spiritual guidance. 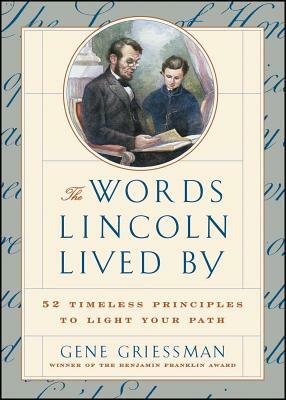 In these pages, Lincoln, famed as an orator, shares his wisdom on courage and determination, compassion and compromise, tolerance and tact--the essential traits that define character. The timeless impact of his words is as powerful as the achievements that have helped to make him an American hero.